Flamenco Christmas arrived in our garden early spring 2003. 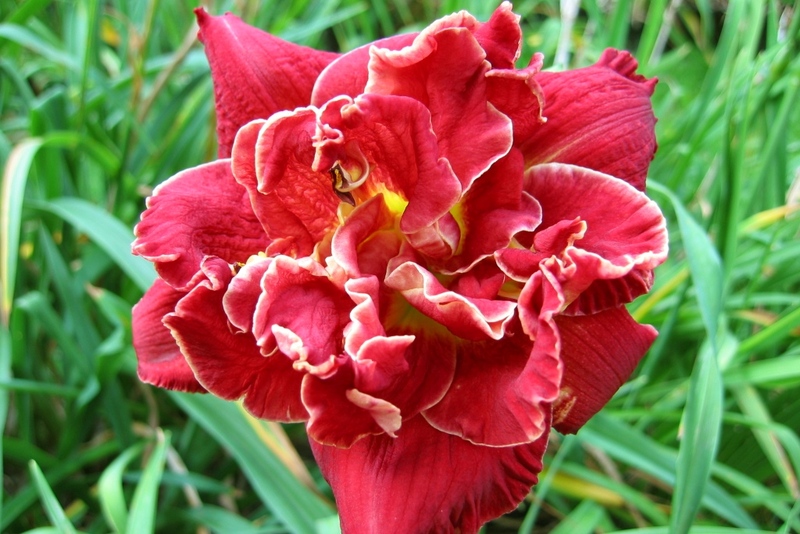 A Florida bred large red double, we were hoping for an impressive plant that would be a showpiece in our garden. It was with great excitement that during August of that first summer FC bloomed double, and we recently found the photo below. Unfortunately that was the last time FC bloomed double. 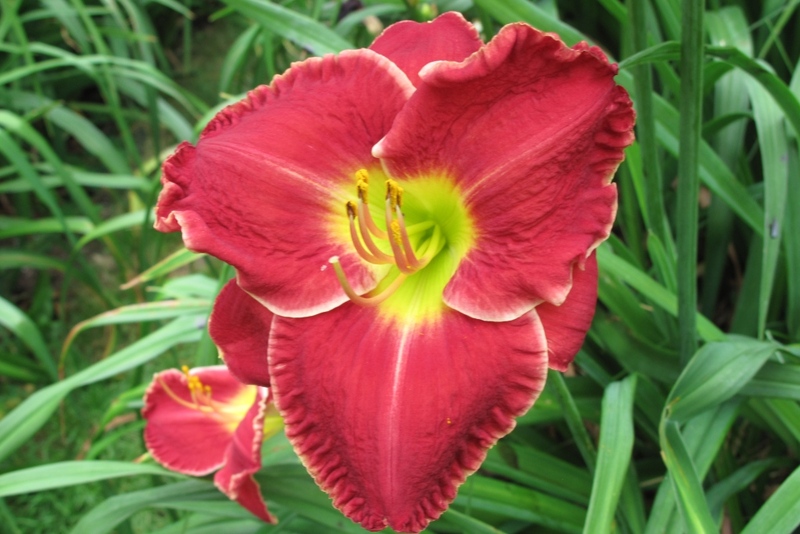 Seems after experiencing a Canadian winter FC prefers to bloom as a gorgeous cherry red flower. We do like the fine white edge that defines the segments and it has multiplied well. But, this is a really good example of why we generally prefer to support and promote northern hybridizers that produce plants that perform well in northern gardens. Double bloom on Flamenco Christmas, August 2003.